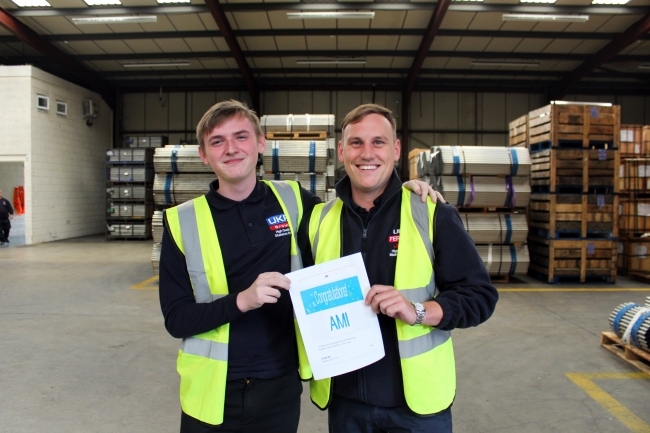 Congratulations to Charlie Walford of the UKF Group, winner of the UK Manufacturing Apprentice of September. Charlie deservedly picks up this months prize of £100 of Amazon Vouchers. Charlie has been working hard in more than just one department at The UKF Group, applying his hard work throughout the company. PA to the Directors, Jess Williams is preparing for her maternity leave and Charlie will be given an opportunity to demonstrate the skills he has learned as he takes on further administration responsibilities for both the UKF Stainless and The Joint Perforating Company brands.